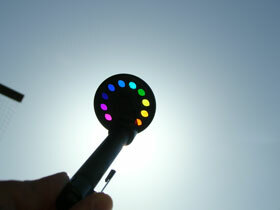 13 colored gels in a wheel (based on the color frequencies of Dinshah and the 7 Rays) and perched on a penlight makes this color tool a dream come true for acupuncturists, sound and color practitioners alike. This pen is light! making it quick and easy to use!